Molecular Testing for Benign Myoepithelioma is a genetic test that is helpful in aiding a diagnosis of benign myoepithelioma. 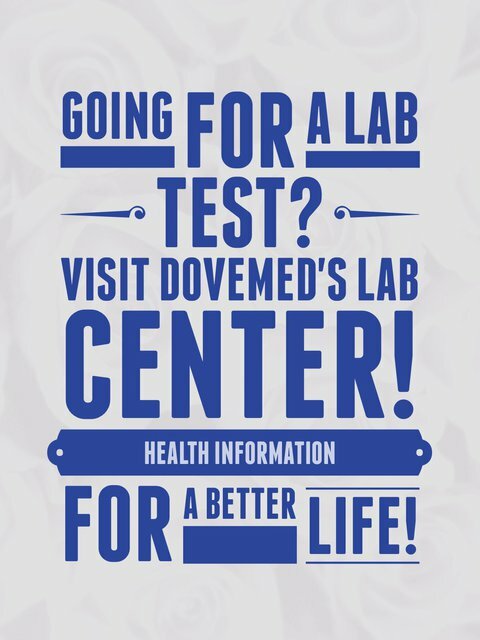 The methodology used for benign myoepithelioma may vary from one laboratory to another. 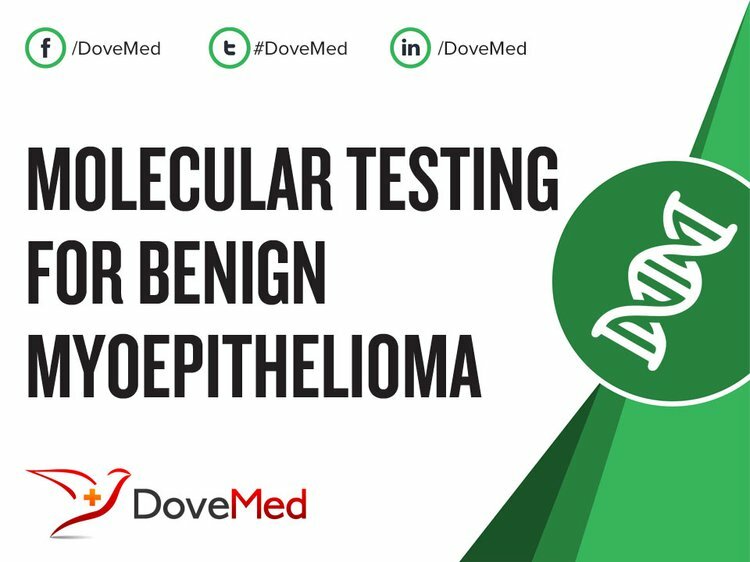 What are the Clinical Indications for performing the Molecular Testing for Benign Myoepithelioma Test? How is the Specimen Collected for Molecular Testing for Benign Myoepithelioma? What is the Significance of the Molecular Testing for Benign Myoepithelioma Result? Antonescu, C. R., Zhang, L., Chang, N. E., Pawel, B. R., Travis, W., Katabi, N., ... & Fletcher, C. D. (2010). EWSR1‐POU5F1 fusion in soft tissue myoepithelial tumors. A molecular analysis of sixty‐six cases, including soft tissue, bone, and visceral lesions, showing common involvement of the EWSR1 gene. Genes, Chromosomes and Cancer, 49(12), 1114-1124. Antonescu, C. R., Zhang, L., Shao, S. Y., Mosquera, J. M., Weinreb, I., Katabi, N., & Fletcher, C. D. (2013). Frequent PLAG1 gene rearrangements in skin and soft tissue myoepithelioma with ductal differentiation. Genes, Chromosomes and Cancer, 52(7), 675-682. Hungermann, D., Roeser, K., Buerger, H., Jäkel, T., Löning, T., & Herbst, H. (2002). Relative paucity of gross genetic alterations in myoepitheliomas and myoepithelial carcinomas of salivary glands. The Journal of pathology, 198(4), 487-494. Shah, A. A., LeGallo, R. D., van Zante, A., Frierson Jr, H. F., Mills, S. E., Berean, K. W., ... & Stelow, E. B. (2013). EWSR1 genetic rearrangements in salivary gland tumors: a specific and very common feature of hyalinizing clear cell carcinoma. The American journal of surgical pathology, 37(4), 571-578. Flucke, U., Palmedo, G., Blankenhorn, N., Slootweg, P. J., Kutzner, H., & Mentzel, T. (2011). EWSR1 gene rearrangement occurs in a subset of cutaneous myoepithelial tumors: a study of 18 cases. Modern Pathology, 24(11), 1444-1450. Brandal, P., Panagopoulos, I., Bjerkehagen, B., Gorunova, L., Skjeldal, S., Micci, F., & Heim, S. (2008). Detection of at (1; 22)(q23; q12) translocation leading to an EWSR1‐PBX1 fusion gene in a myoepithelioma. Genes, Chromosomes and Cancer, 47(7), 558-564. Tirabosco, R., Mangham, D. C., Rosenberg, A. E., Vujovic, S., Bousdras, K., Pizzolitto, S., ... & Athanasou, N. A. (2008). Brachyury expression in extra-axial skeletal and soft tissue chordomas: a marker that distinguishes chordoma from mixed tumor/myoepithelioma/parachordoma in soft tissue. The American journal of surgical pathology, 32(4), 572-580.